Long lasting and inexpensive, compact fluorescent light (CFL) bulbs are found in a variety of residential and commercial structures including homes, workshops, schools and office buildings. CFL bulbs, developed in the 1980s, contain a solid-state ballast that doesn't burn out as fast as traditional fluorescent bulbs. The bulb's ballast also doesn't emit a buzz like older ballasts. CFL bulbs are available at hardware, home improvement and retail stores as well as online. But like traditional fluorescent bulbs, CFL bulbs are not immune to problems and drawbacks. CFL bulbs are inexpensive and use less energy than traditional light bulbs. CFL bulbs are larger and longer than incandescent fluorescent bulbs and do not fit it all fixtures, especially older fluorescent bulb fixtures. If converting from traditional fluorescent bulbs to CFL bulbs, you will have to replace older light fixtures to accommodate the new CFL bulbs. This initial cost may outweigh the savings CFL bulbs offer. CFL bulbs are affected by cold weather. The bulbs give off dim light in situations that are cold including in unheated workshops, garages, parking garages/carports and other spaces where heat is lacking. The bulbs take a second or two to light up even in warm conditions. And CFL bulbs can take 15 to 30 seconds to approach maximum brightness. Once the light bulbs are on, the bulbs glow steadily unless the ballast or bulb is failing. Then the CFL bulb will flicker like traditional fluorescent light bulbs. CFL bulbs usually cannot be used with a dimmer switch, a device that dims and softens light, due to CFL bulbs' initial start-up/warm-up time. 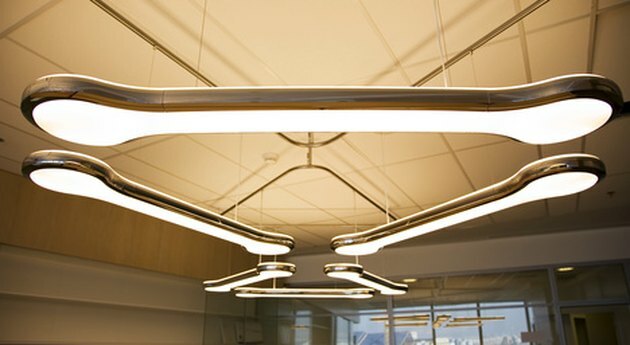 The bulbs give off a different light throw patten than traditional fluorescent light bulbs. Light from CFL bulbs is not as strong and direct as traditional fluorescent light. CFL bulbs still contain mercury and cannot be disposed of in landfills since mercury is toxic. You must dispose of discharged CFL bulbs in a recycling center that accepts the bulbs or send the bulbs back to the their manufacturer.